CBD Oil 10ml 500mg. Bach flower remedies, A.Vogel herbal, homeopathic and other wellbeing products from Alby, Cromer, Norfolk. 10ml CO2 Supercritical Extracted Full Spectrum CBD OIl suspended in Virgin Hemp oil, 500mg (5%) in an amber bottle with pipette top. 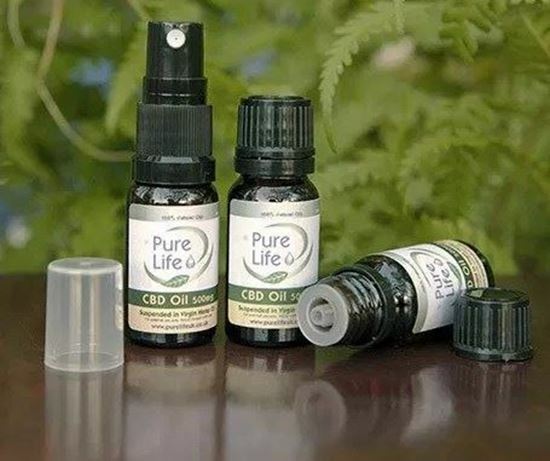 Full spectrum CBD oil differs from standard CBD oil because the extraction of the cannabinoids, terpines and vitamins from the hemp plant is far more complete. Delicate compounds survive the CO2 extraction which can be lost in the cheaper steam extraction process. Using CDB oil in Virgin Hemp oil orally by putting a few drops under the tongue means that none of the delicate cannibinoids or terpines are altered by heat. Supercritical CO2 extraction produces pure, clean, highest quality CBD oil with almost no post-processing. Controlling the temperature and pressure of the CO2 through a set of phases creates different states from solid to gas, allowing differing weights of components in the plant material to be extracted in one operation. Supercritical CO2 extraction therefore releases the full range of cannabinoids, vitamins and terpines from the Cannabis Sativa L. plant, also known as industrial hemp. Full spectrum CBD oil contains trace amounts of Cannabinol (CBN) which has a stronger affinity to the body's CB2 receptors as well as the a greater range of terpines, the essential oils found in Cannabis Sativa L. Terpenes dissolve in lipids. In addition to topical use on the skin and adding drops to food, for which a dropper bottle can be chosen, a spray top bottle is available for ease of sub-lingual use (the oil is held under the tongue for 30 seconds or more then swallowed) which allows it to be rapidly absorbed into the body. As with all supplements, users should consult their doctor to assure themselves that there will be no conflict with any medication or health condition before using the product. Use of CBD oil is not to be considered a replacement for prescription drugs or other medical treatments. Our improved formulation means that all strengths of full spectrum CBD oil require no preparation for use. Simply take one to two sprays or one to two drops of oil twice per day. The maximum daily dose is 200mg. CBD oil has a herbal taste which becomes stronger for the higher percentage concentrations. Whilst sublingual administration (drops or spray under the tongue) remains one of the fastest ways to absorb CBD oil, should you find the taste strong it can be taken with a few drops of honey or dropped onto bread or other favourite foods that are not heated for consumption. Flower Essences can gently soothe and soften the face. 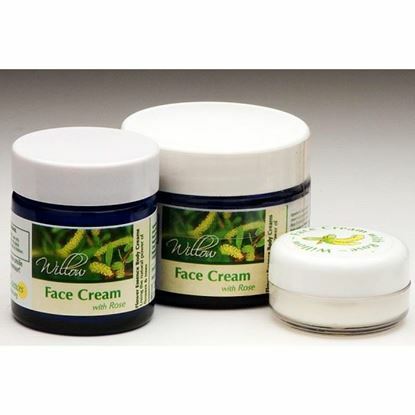 This lovely cream moisturizes the skin and improves tone with Aloe Vera and protective Vitamin E.